OK everyone, I’ve got an idea up my sleeve, but I need all of YOU to help me. Got it? I want you to email me suggestions, ideas, requests for Christmas wishes. For the sake of this project, please don’t make them unattainable (such as houses or vehicles), but they can be as simple as prayer requests, or a gift card to get a few groceries…think of someone in your neighborhood who may be down on their luck, or a young family who could use an extra smile. Be creative, I know you can! You can email those requests to wagntales@gmail.com…and then I’ll compile the information. I will take emails up until Dec. 15, after that point, our angels would need some time to shop/ship/make whatever is needed! While taking requests for those in need, I’m adding a twist to this charity drive. I’m taking requests for those who want to give. I know that a lot of us give locally, but let me tell you from experience, that giving anonymously is an AMAZING feeling! Imagine getting a package in the mail that you weren’t expecting?!? Isn’t that the coolest feeling in the world? Anyway, if you can also email me at wagntales@gmail.com and let me know if you’re interested in being an angel…to what extent, etc. I’ll match up my requests to angels and let God take care of the rest! Sound like a deal? Now, for the most part, I’m going to keep the requests confidential…only angels will have the information sent to me. I’ll do my best to set up good matches, but I’m human, so there may be some trial and error going on here. But I’m so excited about this opportunity to share our good fortune and blessings with so many others! So here’s how I have it played out in my head (just to give you an example): Angie emails me, telling me that a lady in her neighborhood could use a helping hand with a few groceries this holiday season. She sends me a list of local grocery stores, the lady’s address and any specific items she may know that she needs (whatever would be helpful). 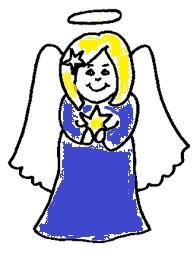 I then look at my list of “angels” and see that Suzy is interested in sending gift cards and has access to one of the stores that has a site near Angie’s neighbor. I email Suzy the address and request for Angie’s neighbor and let Suzy take care of the rest. Got it? Questions? Now, I get that there could be problems, issues, etc. I don’t pretend to think that this is the ultimate in plans…but I think we can work together and iron out any issues that may come up. I’ll do what I can to check out both the recipient and the giver prior to passing out any information, but trust me, nothing top secret is really going on here. Alright, get to brainstorming some ideas for gifts, and let me know if you can help out with the “angel” end of things. I’ll keep you updated everyday on how many “matches” were made…and if I’m in need of more of one or the other! This entry was posted in Giving Back, Projects by wagfarms. Bookmark the permalink. Your are so awesome! I think I could be an angel! You can sign me up! I’m sending you my information in an e-mail. I would love to be someone’s angle this Christmas season! I don’t have alot of money but I would love to help in any way I can. What a great idea. I have a tear in my eye.